Kia Perry with Atwell Primary School students. Photo: Jon Hewson. d492032 communitypix.com.au. 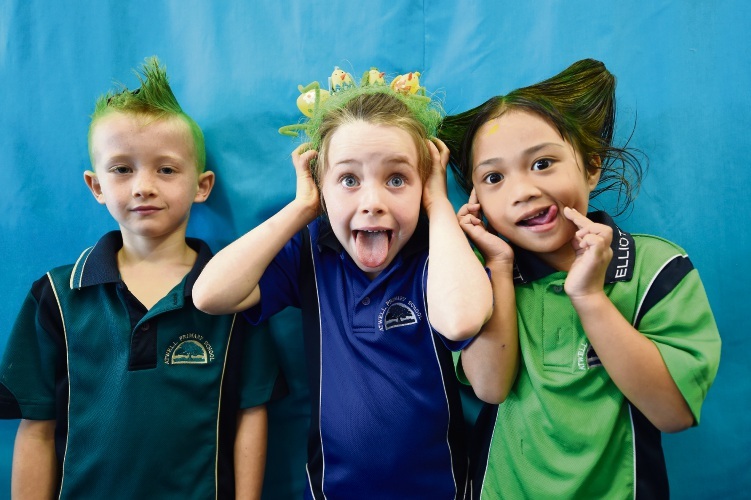 THERE was a touch of craziness at Atwell Primary School recently as students went wild with their hairstyles. 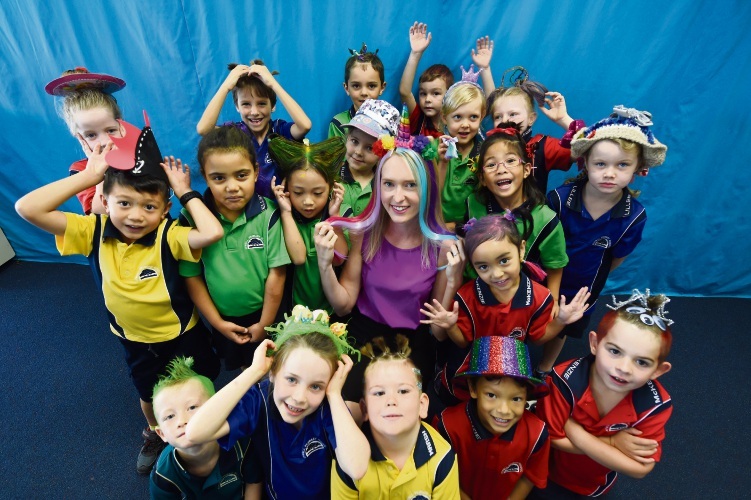 Hundreds of students dyed and styled their hair in all sorts of wacky colours and positions for the Crazy Hair Day, which was run to increase awareness about mental health and wellbeing. Atwell PS Year 1 teacher Kia Perry said the event was a way for the school to teach students more about mental health. Toby Whiting, Clara McCarthy & Asia Obales. Photo: Jon Hewson. “Students loved coming to school with the wackiest and most creative hair, wig or hat that they could imagine,” she said. “It created a fantastic buzz around the school and gave teachers the opportunity to spread awareness amongst students about what it means to be mentally health and the actions to take to achieve this. 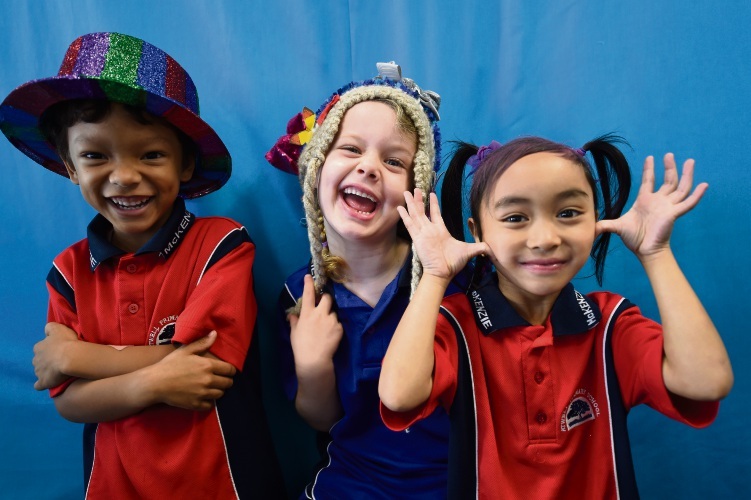 “Supporting students’ mental health and wellbeing from and early age is essential. Jaxon Lewis, Sophie Harford & Kristine Lucero. Photo: Jon Hewson.